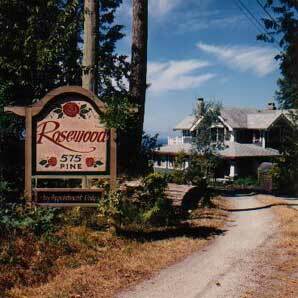 Bed & Breakfast, Rosewood Country House -- Bed & Breakfast, Sunshine Coast, British Columbia, Canada. Romantic Oceanview Suite. V0N 1V5 Click here to send an e-mail. For directions please refer to the map.